Who Should Not Take Viberzi? Viberzi is an antidiarrheal drug prescribed to treat irritable bowel syndrome with diarrhea (IBS-D) in adults. The drug’s main ingredient is eluxadoline. Allergan got approval to sell the medication in the U.S. in 2015. The U.S. Food and Drug Administration approved Viberzi in 2015 to treat irritable bowel syndrome with diarrhea (IBS-D). The medication decreases abdominal pain associated with IBS-D. It also makes stool less watery. The medication works within the intestines to slow the movement of food during digestion. It activates or blocks certain opioid receptors in the digestive tract that affect digestion, pain sensation, and intestinal fluid secretion. This causes the nerves in the bowels to be less sensitive to stimuli thereby cutting the amount of bowel contractions a person with IBS-D may experience. Allergan manufactures the drug using the active ingredient eluxadoline, which is under Schedule IV of the Controlled Substances Act. 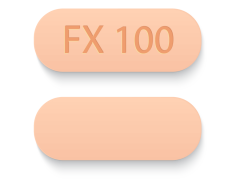 According to GoodRx, the average retail price for sixty 100mg tablets is $1,380. Viberzi is available in 75mg and 100mg tablets. The typical recommended dosage is 100mg taken twice daily by mouth with food. Two doses should not be taken at the same time to make up for a missed dose. A doctor may recommend stopping treatment if a patient experiences side effects, such as severe constipation. Taking Viberzi with other substances may change the way the medications work in the body. This can be unsafe and potentially harmful to patients’ health. Substances to ask your doctor about include prescription and over-the-counter drugs and supplements. The U.S. Food and Drug Administration warns patients without their gallbladder not to take Viberzi. 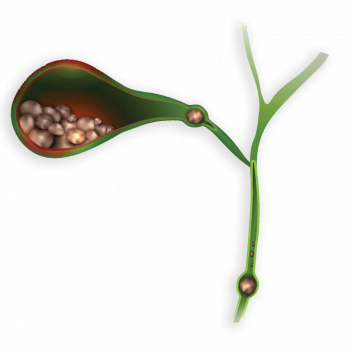 The above image is an illustration of a gallbladder. In March 2017, the FDA issued a safety communication warning patients without a gallbladder to avoid taking Viberzi. The drug causes an increased risk of serious pancreatitis in patients missing their gallbladder, the FDA said. This severe condition could lead to hospitalization or death. The FDA said pancreatitis in these patients may result from a spasm of a certain digestive system muscle found in the small intestine. The regulatory agency said it would work with Allergan to address safety concerns. As of October 2018, the FDA has not issued any updates. People who suffered pancreatitis while prescribed Viberzi are filing lawsuits that accuse the manufacturer of failing to warn of the risk. Viberzi is only approved for use in adults. It’s unknown whether the drug is safe or effective for children. While the drug works for most adults with IBS-D, it is not recommended for everyone. There have been no Viberzi studies in pregnant women, so it’s unknown how the drug affects expectant mothers and fetuses. Eluxadoline was present in rat milk in animal studies. Before taking the drug, patients should tell their doctor if they are breastfeeding. There are several drugs available to treat diarrhea associated with IBS. Consumers can buy some of these medications over-the-counter. Others need a prescription.